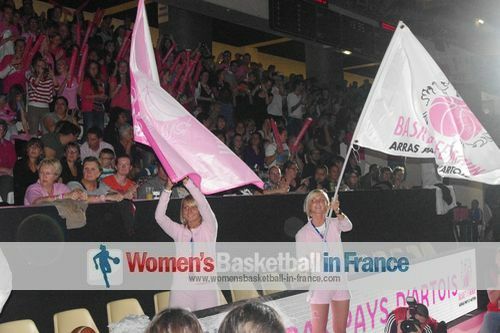 Arras Basket walked away with the "Coupe de France" in May and into the EuroLeague Women draw for the 2012-2013 edition. It was not a bad way to end a season that saw the club finish in 11th place. Veuillez trouver en bas du page des informations en français sur l'effectif d'Arras Pays d'Artois Basket Féminin. For some reason Thibaut Petit was not able to get anything going for the team in the Ligue Féminine de Basketball as they finished far too below for a team with ambition to play European Club basketball. 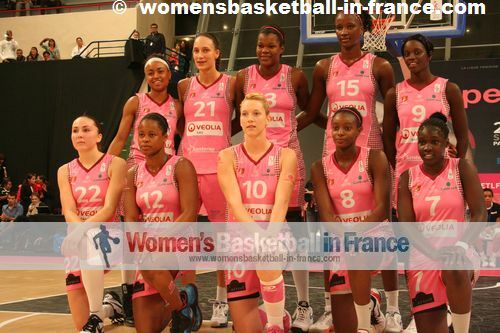 However in the EuroCup Women and the Coupe de France competition, Arras Basket was another team. 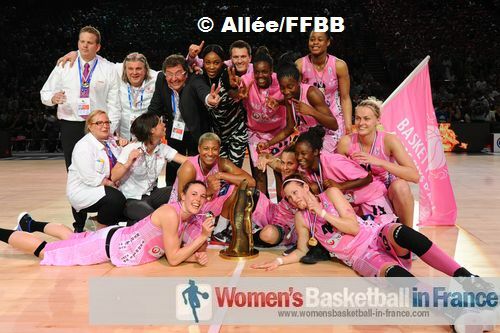 The EuroCup Women adventure only came to an end in the quarter-final while they won the French cup as well as survived in the LFB. They had won enough games to avoid the relegation battle but not enough for a post season, so the players had a five-week break between their last competitive game and the cup final. Leilani Mitchell had then returned to the USA for the WNBA season and Pauline Akonga-Nsimbo's pregnancy meant that Arras had to play the final without two key players. Yet Arras pulled off the surprise of the season in beating Bourges Basket at Paris Bercy, which also earned them the right in participating in the EuroLeague Women competition. For the new season, the only major player that remains from the Arras team that had won the cup is Krissy Badé. All the other players have moved on to other clubs. For his second season in charge Thibaut Petit was much more involved in the recruitment of players and had more or less finalised his team for the 2012-2013 season before the cup final. It is not a roster that should worry the ELW giants but Arras have proved over the last three years that at home they are hard to beat. Gomis-Halilovic and Malashenko return back to the club after a season away with Nantes-Rezé and BC Chevkata respectively. Malashenko is to miss the start of the season and Dorogobuzova is her medical replacement. Belleka, Mendy and Agblemagnon are players from the academy. Quoique Arras termine que 11e en LFB pendant la saison régulière, elle arrache une victoire très importante ce qui est d'avoir gagné contre Bourges Basket à Paris Bercy pour pas seulement remporter la Coupe de France mais aussi un billet pour participer à l'EuroLigue Women pour 2012-13. La formation se montre aussi présente à l'EuroCoupe où elle échoue qu'à la quart de finale. Pour sa deuxième saison, l'entraineur Belge Thibaut Petit est confiant d'avoir choisi des joueuses qui vont continuer à évoluer en complétant son équipe avec des joueuses d'expérience comme Krissy Badé, la capitaine Johanne Gomis-Halilovic et Sandra Dijon-Gérardin.